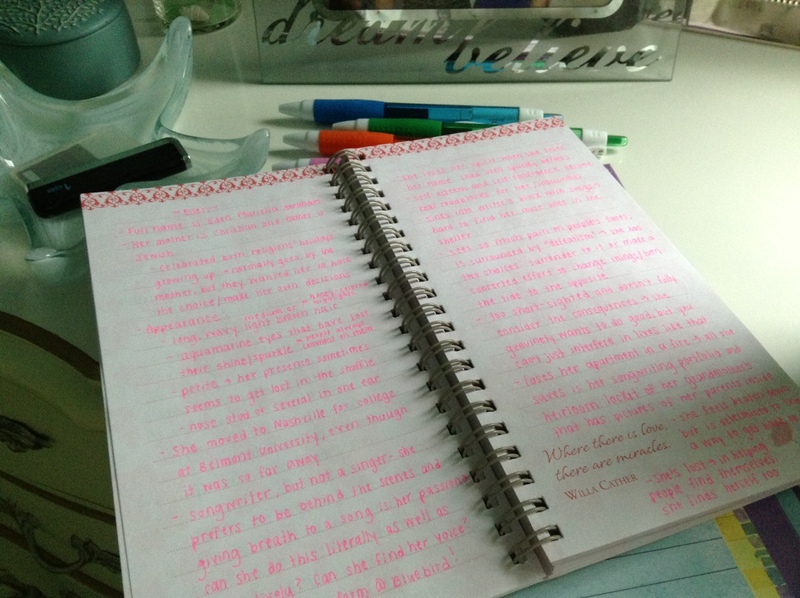 So, um … it’s been nearly two weeks since I’ve written anything on here. Whoops. I’m not sure how that happened. For as quickly as time flies all year long, it seems to move along at warp speed during the holiday season. It was just Thanksgiving, and now I’m sitting here and looking out the window at today’s fresh snowfall glistening in the re-emerging sun. It is the prettiest kind of reminder that winter’s on its way and a lovely backdrop as I play some catch-up with y’all. After spending most of November planning out my new book, I was finally ready to jump into drafting last week! Not gonna lie, it felt immensely strange at first to be writing about characters other than Remi and Charlotte, but I’m almost 11,000 words into the book as of this morning and am having a blast with it now. My MC Eden is very different from anyone whose story I’ve told before, and I actually really love that. Her world is currently tumbling down around her, but what falls down can also rise up, and I’m excited to watch her rebuild, renew, and refresh her life. It’s going to be a fun journey to take. Beyond Eden, I’m quite giddy about the supporting cast: Eden’s grandmother Lillian (I have always wanted to write a grandma/granddaughter relationship), her soon-to-be best friend Serena, her parents Mariah and Joel, her love interest Wilson … it is an eclectic group in more ways than one, and I can’t wait to explore the dynamics further. Speaking of Remi, look what I got for Hanukkah! 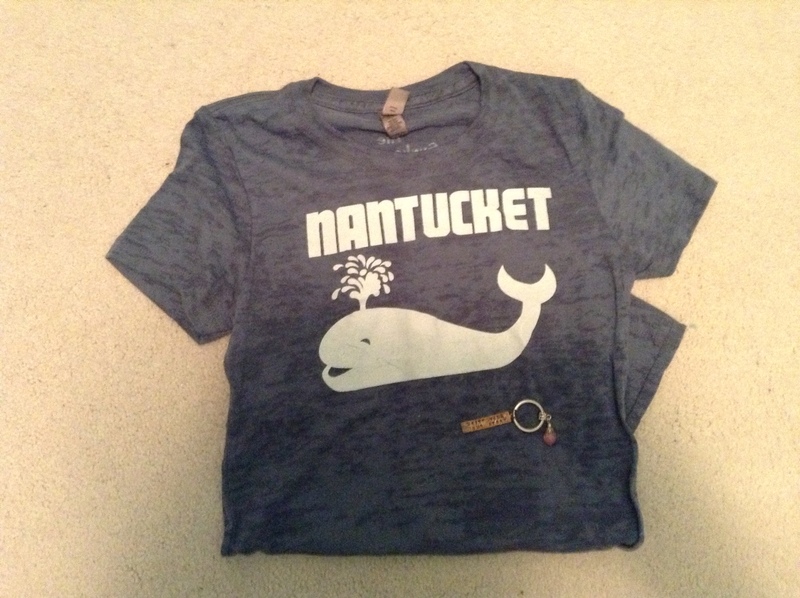 The keychain’s hard to make out in the picture, but it says “write your own story.” I love, love, love them both and am so happy to have a Nantucket shirt that’s straight off the island. If I can’t visit there yet, this is the next best thing. Totally worth braving Sunday’s snow (yep, it snowed Sunday … and today … and evidently again this coming Saturday) to finally see CATCHING FIRE. I was blown away by how wonderful it is. The acting, the sets, the soundtrack, the special effects … it was phenomenal from start to finish. I love that the movies stay so true to the books, and yet, at the same time, they’re easy to follow along with if you haven’t read the story (at least, it seems like they would be … can’t attest to that personally). This is my favorite of the books and now my favorite of the movies so far, too. Huge kudos to the whole cast for being so fabulous, especially Jennifer Lawrence. She is just crazy awesome. Also crazy awesome? Nancy Lee Grahn. It is always such a pleasure to visit with her when she holds her East Coast events every other year. Your turn: tell me what’s been up with you guys lately! It is! There’s just something really special about having all that limitless possibility stretched out before you. Hope you’re enjoying the research, and of course the holiday preparations! I love the names you’ve chosen for your new ms! And, as always, I’m in awe of your prolificness. You go, girl! Me? Not much. Visited my parents for Thanksgiving and feel like I’ve been playing catch-up ever since, too. Thank you! I always have such fun choosing the names. It’s one of my favorite parts of the planning process, is that weird? Aww, and thanks again. I was going batty not having a new story to work on while querying! I have missed your posts, dear. You have had a lot of snow- east coast really has gotten unlucky these past few years. Catching Fire was fabulous, wasn’t it? I want to see The book Thief next! I’ve heard amazing things about The Book Thief. Have you read the book? It’s so awesome that you’ve already gotten stuck into the new book’s first draft! How far along are you now? I feel like I’m asking you about a pregnancy or something, but I guess writing the first draft of a book and carrying a child are kind of the same thing… Anyway! I’m super excited for you to be on a journey with a bunch of new characters, as weird as it might have felt at first. I think I’ll experience a similar strangeness when I start writing about someone who isn’t Mildred or Kovax. Hope you enjoy your white Christmas and I’ll have to check out the CATCHING FIRE movie some time for myself. Everyone has been saying how much better than the first one it is, so I’m hoping not to be disappointed. The book was a whole ‘nother level of intense compared to the first book, in my not-raving-fan opinion. Oh, that comparison makes me smile, because I always call them my book-babies! :) I just finished the fifth chapter today and am having a lot of fun exploring this new group of characters. They’re proving to be quite interesting to me so far! Maybe you can give Mildred and Kovax a cameo in your next book? I always do that and love getting to visit with past characters again! I liked the first movie too, but I agree that this one is better. The intensity from the book translates so well to the screen, and the cast does an amazing job of portraying all the layers of emotion. Jennifer Lawrence is particular is outstanding! Hooray for new story adventures! I’ve loved hearing about the beginning of Eden’s journey. :) Hope you’re still having tons of fun writing! You are just about the only person I’ve heard say anything positive about the snow lately! ;-) I normally love it too, but we’ve gotten four bursts of it within the past week and a half, so I’m ready for a break now (or at least some better plowed roads!). Hope the applications are going well and that you all enjoy the rest of the holiday season! Ooh… Snow! I dreamed last night that I woke up to 2 inches of snow, and it was so thrilling. But then logically, I was like, “But it’s Florida, and I’ve only ever seen flurries here.” Dream me shrugged it off and chalked it up to being a miracle. =) I miss the snow, and the calming affect it has on the world. I LOVE it when new characters are so incredible unique and fun to write. It’s funny — I’ve been a northerner all my life, so I can’t imagine what it’s like to go a winter without snow. The last few have been relatively dry here, and even that felt strange, with only a couple inches of it. 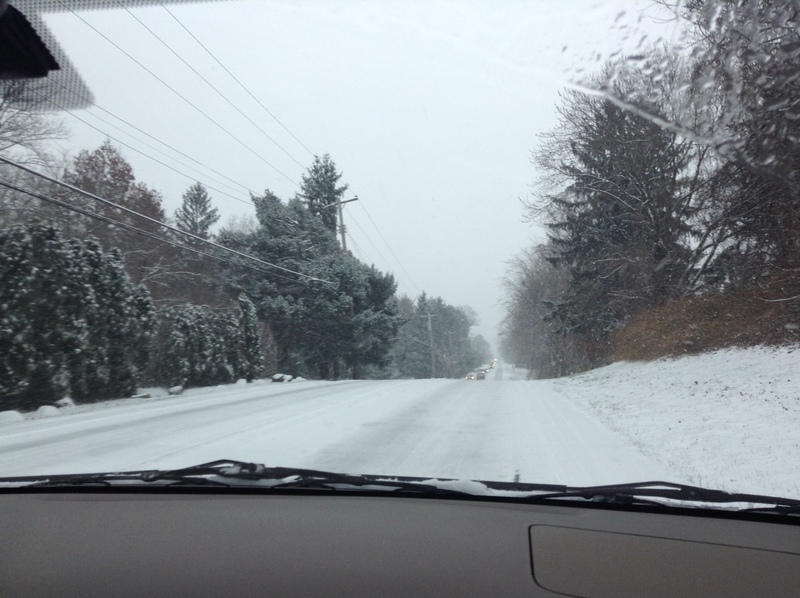 I hope you can make a trip to a snowy place soon, and in the meantime, I am quite jealous of the Floridian warmth!